PC Instruments. You can run the demo from PAM. 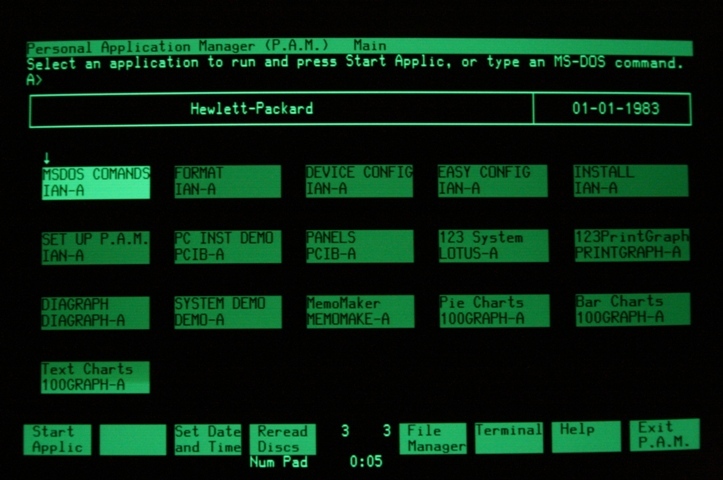 To run the software, you need to issue the PANELS command in the PCIB directory. You won't be able to do much with this software unless you have some attached PC Instruments with an extremely rare HP-150 interface board.